The Belgian Federal Parliament is reportedly about to expand its controversial “right to die” policies to include access to euthanasia for some gravely ill children. A consensus among members of the legislative body has reportedly formed in support of legislation to allow children to choose to undergo euthanasia in certain dire cases, according to a report in the Belgian daily newspaper Der Morgen, as translated by the Paris-based news agency Presseurop. 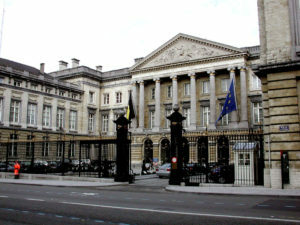 If child euthanasia is legalized in Belgium, the country would become the first in the developed world to have a law on the books allowing the practice, although the Netherlands has since 2005 not prosecuted doctors who perform euthanasia on some minors as long as the doctors act in accordance with a set of medical guidelines dubbed the Groningen Protocol.